Male. Taken at Trigrad, Bulgaria on June 23rd 2014. Female. Taken near Borino, Bulgaria, on June 23rd 2014. Underside. Taken near Borino, Bulgaria, on June 23rd 2014. 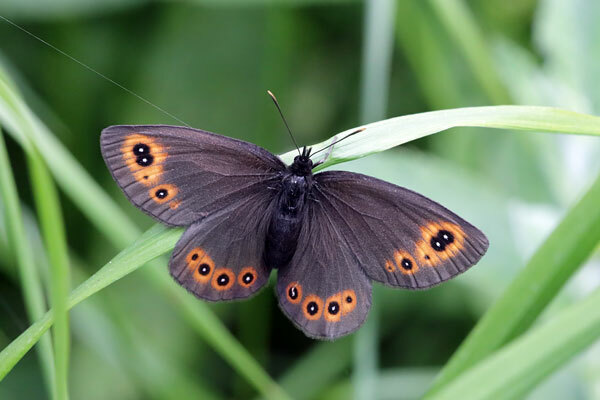 A large ringlet, with dark brown upper surfaces and an orange post-discal band. The number of eye spots is variable. The sexes are similar. 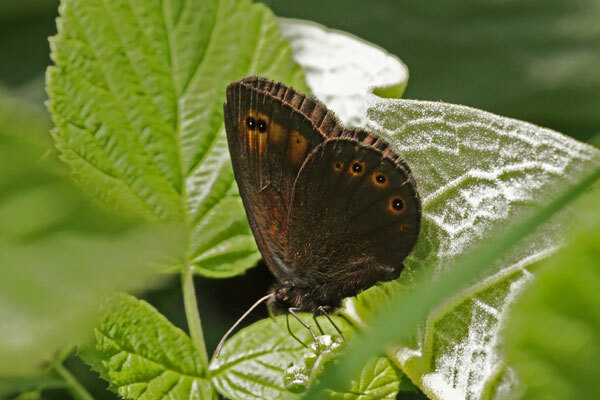 It is widespread and locally common in SE Europe, but more patchily distributed in the west and north. Habitats are diverse grassy and humid woodlands, damp grasslands and moors up to 2300m. There is one brood between early May and late July, depending on altitude. At high altitudes larvae can take two years to develop. Larvae feed on various grasses (Milium, Festuca, Bromus).